Pricing your home accurately or aggressively is also a top strategy to maximize the exposure and buyers willingness to write offers quickly on a home. In the Southbay it is not unusual for homes to have multiple offers from buyers after the first week when a home is priced right or slightly under market value. Our experience and expertise leads this discussion with our clients and it is a group decision that works best when we consider all elements of each home, neighborhood, and market condition. Finally, after strategically deciding on a price to list your home it is time for Jocelyn and Michael and their team to get to work for their clients. Their strategic marketing plan yields high success rates for homes getting maximum value and selling promptly. They utilize worldwide online marketing, targeted local print media, targeted mailers, and most importantly their networking groups of targeted agents who have the right buyers for each home. 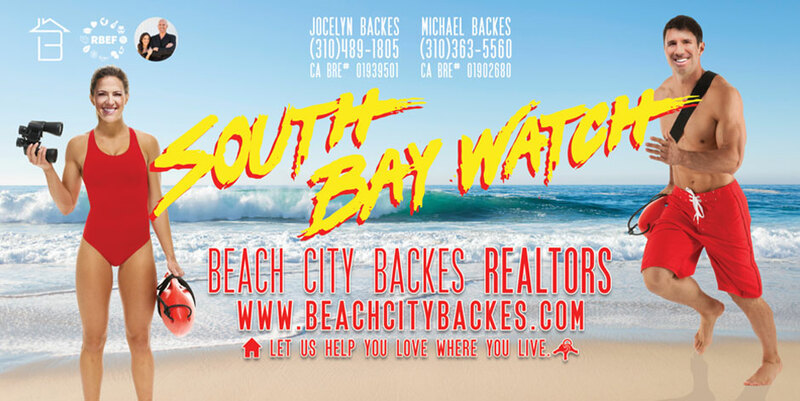 If you are ready to sell your home fill out the information below and the Beach City Backes team will follow up with you promptly to schedule a time for an in person home interview and value evaluation.